Willow Barn01263 715779work01603 870304fax Self-cateringThis attractive cottage is set within the owners grounds with direct access to the River Chet, footpaths and cycleways. Chedgrave Village is located in the Broads National Park and is an ideal base for exploring the famous waterways, the East Coast, pretty local villages and countryside and the historic city of Norwich. 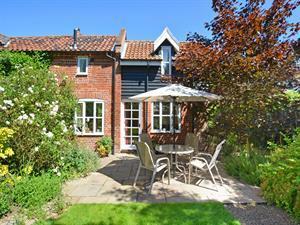 This attractive cottage is set within the owners grounds with direct access to the River Chet, footpaths and cycleways. Chedgrave Village is located in the Broads National Park and is an ideal base for exploring the famous waterways, the East Coast, pretty local villages and countryside and the historic city of Norwich.